The story of the Illinois cop who allegedly killed himself and staged his murder to avoid criminal charges for embezzling $50,000 from a youth program has, somehow, gotten worse. It’s difficult to keep track of this story already, but here we go: Fox Lake Police Lt. Charles Joseph Gliniewicz, who officials say killed himself in an elaborate murder hoax on September 1, allegedly also convinced his son D.J. to marry a woman named Kathryn Grams. Gliniewicz, who was married, had carried on an affair with Grams and arranged the marriage to rack up additional army benefits on his son’s service pay, according to WGN-TV. D.J.’s marriage to Grams ended in December 2014; Lt. Gliniewicz remained married to Melodie, his wife of 26 years. Now, both Melodie and D.J. are under investigation for their possible roles in the late officer’s various schemes. D.J. is also possibly facing a court martial for the fraudulent marriage. 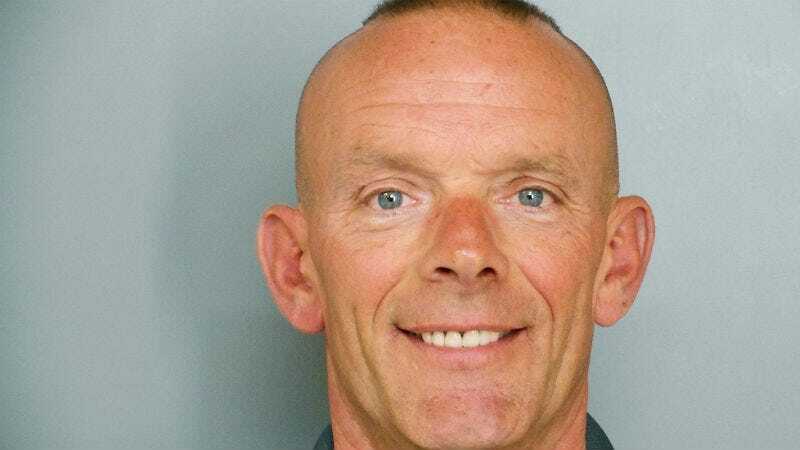 Earlier this week officials revealed that Gliniewicz orchestrated his death to look as if he’d been shot in the line of duty on September 1 when he’d actually committed suicide. After his death, Fox Lake cops began a manhunt to find the supposed culprits, while conservatives blamed the Black Lives Matter movement’s rhetoric for Gliniewicz’s death. Gliniewicz also allegedly planned “to put a hit” on an administrator named Anne Marrin because he thought she’d discover his embezzling from a local youth program called the Explorers. According to the New York Daily News, investigators found a deleted text message from the late cop attempting to arrange a meeting with a gang member who would carry out the murder. Cocaine packets were also found in Gliniewicz’s desk after his death, which detectives think he’d planned to plant on Marrin in a setup. Gliniewicz’s surviving family has issued a statement through their lawyer, saying they’re still grieving. Meanwhile, people who raised funds to assist the late cop’s family want their money returned. The town of Fox Lake was blindsided by the real Gliniewicz, who seems like he did a great job of pretending to be a good guy.